Check out the links below for answers to some of our most frequently asked questions. If you can’t find the answer to your question on our website, contact the Walworth County UW-Extension office at 262-741-4951. Our 4-H program staff will be happy to answer any of your questions. 4-H is the nation’s largest youth development and empowerment organization; in Wisconsin, more than 350,000 youth in urban, suburban and rural settings are involved with 4-H and other UW-Extension youth programs. Youth from five-year kindergarten to one year past high school can learn important life skills like leadership, teamwork, critical thinking and communication to help prepare them for successful futures – and they do it while engaging in fun, hands-on 4-H activities! 4-H clubs have regular meetings and officers, but that is just the start. 4-H members get involved in their communities as volunteers and youth leaders. They learn new things by completing dozens of different kinds of projects, they go on trips, have parties, host international students, participate in local government, experiment with science, make art, go to camp, learn to canoe or take care of an animal… The list seems almost endless! With so many choices, 4-H is what you want it to be. A project is simply a topic 4-H members can explore. 4-H members can choose from a variety of projects based on their interests to increase their knowledge about the subject through active participation. What Projects are Currently Available in Walworth County? 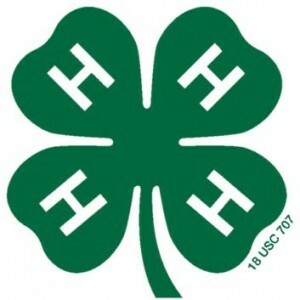 4-H is open to any youth within the grades of 5K-13 (one year out of high school). First, contact the Walworth County UW-Extension office at 262-741-4951 to discuss what is right for you and your child. Once you wish to enroll, you will use 4-H Online. Our detailed instructions should help you complete the process. The four “H’s” stand for “Head, Heart, Hands, and Health.” And here is the 4-H pledge: I pledge…My head to clearer thinking…My heart to greater loyalty…My hands to larger service…My health to better living…For my club, my community, my country, and my world. As a 4-H Parent, How Can I Help My Child? Read over the Project Guide with your child and discuss which 4-H projects are interesting and affordable. Show your interest and enthusiasm, by helping her or him understand what to do, when to do it, and how to carry out different phases of the project. Assist with project work, but don’t do the job for your child. Your role is to teach and guide, not to control. Yes, check our scholarships page for more information about how to apply. What Travel Opportunities are Available? Every summer, 4-H youth can apply for the amazing opportunity to experience life in another country by living abroad with a host family for one month. All programs are chaperoned by a trained 4-H adult volunteer who remains in-country with the delegation during the exchange for support and assistance. For more information about travel opportunities, check out the Wisconsin 4-H International Programs website. Where Can I Find more Information about this Year's State Conference? Information about this event can be found on the Wisconsin 4-H and Youth Conference website.